I wish to thank Eric L. Hutton and Philip J. Ivanhoe for numerous discussions on this article and El Amine’s book more generally. 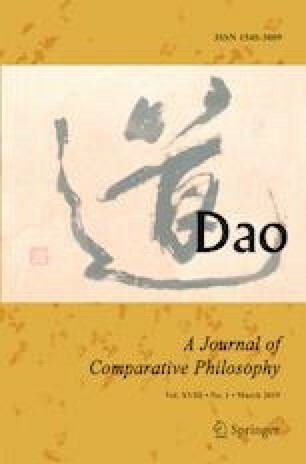 In addition, the participants of the “Author Meets Critics” panel dedicated to El Amine’s book at the American Philosophical Association Pacific Division Meeting in 2017 as well as the anonymous reviewers for Dao provided a range of suggestions and constructive criticisms that allowed me to more clearly refine the points that I have attempted to make here. I am very grateful for this assistance.